Healthy eating is and should be a pretty simple concept, yet it’s very difficult for so many people. Heck, it’s hard for me and healthy eating is part of my job description. We all know what we should do, it’s actually doing it that’s hard. Count this, don’t count that, only eat this, never eat that blah blah blah. Maybe there is so much information on the subject, you don’t know where to even begin. What if how and what you should eat could be simplified? What if you didn’t have to worry about counting macros or calories or following some strict diet to see visible results? Well, it can! The most important concepts of nutrition can be summarized in what I like to call the 5 rules of healthy eating. 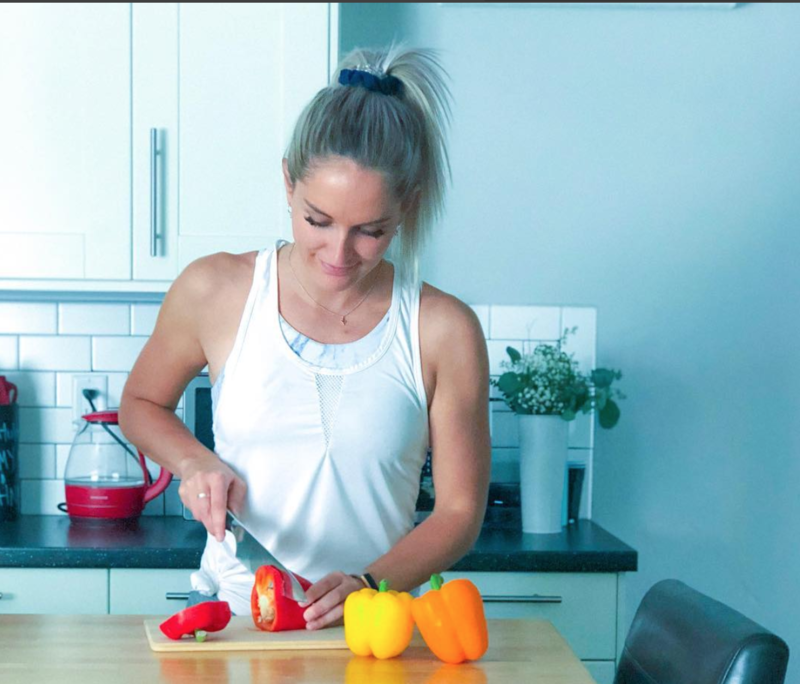 You can start improving your eating habits today, greatly improve your body composition, and reach your goals by following these 5 rules. No crazy counting or stupid dieting needed. You might have heard that you should eat every few hours, but few actually know why. Keeps hunger in check and can prevent overeating at a meal. Helps the body maintain lean body mass. For most people, this would mean about 5 meals each day. This includes snacks. Start making it a habit that no matter what, at least every 4 hours you have a meal or snack. Set a timer if you need to. This rule doesn’t mean you get to eat cake and donuts every 2 hours. What you eat still has a major impact on your results which leads us to our next laws. Every meal or snack, be sure to include a lean source of complete protein. Every meal. Protein is arguably the most important macronutrient when it comes to a healthy and lean body. Protein consumption promotes lean muscle mass, keeps you full, and is important for physical performance. For us ladies, we should aim for 15-20g of protein every meal. For visualization, that’s about one palm size. This might seem like a lot, but including protein with every meal is the easiest way to make sure you are getting what your body needs each day. You’ll stay fuller and support the creation and maintenance of lean muscle mass too. What sources of protein should you eat? Use this infographic for a cheat sheet. Eating veggies with every meal is one of the best ways to improve your diet and get the vital nutrients your body needs. Eating veggies not only provides essential nutrients but also adds fiber and bulk to your meals, keeping you full and satisfied for longer periods of time. One of the most overlooked benefits of eating veggies with every meal is its alkaline effect on the body. Most proteins and grains make the body very acidic. Veggies work to balance these pH levels for optimal bone strength and retention of lean muscle mass. I know it’s hard, but try to eat 1-2 servings of fruits and veggies every time you eat! Eat your plants people. It makes all the difference! When I talk about processed sugar, I mean the kind found in baked, packaged and canned goods, dressings, many types of condiments and soda. NOT the natural sugar in whole fruit. To give you an idea, one can of Coke has 39g of sugar or 9.5 teaspoons. Three regular Oreos has 14g of sugar or 3.5 teaspoons. Added sugar adds up really quick so just become more aware by checking labels. Let’s get one ridiculous myth out of the way: EATING FAT DOESN’T MAKE YOU FAT. However, it is easier to over consume calories when it comes to fat. This is because a gram of fat has more than double the calories a gram of protein or carbohydrate does. That being said, you don’t need to be afraid or avoid fats. They are essential for a healthy body! A solid recommendation is about 25-35% of the diet should come from healthy fats. You could break this up further and make sure ⅓ of your fats are saturated, ⅓ are unsaturated, and ⅓ are polyunsaturated. Just be sure to eat a variety of fats so you get a well-balanced ratio. And don’t forget, trans fat is a big no-no. Make sure to read EVERY SINGLE label of packaged food you buy because it sneakily goes by the name hydrogenated or hydrogenation in the ingredient list. For us girls, eat about one thumb size of healthy fats every meal. Here are some healthy sources of fats. Nutrition can be difficult but it doesn’t have to be. Follow these basic rules and you’ll see improvements in your health, energy, and how you look! By following these 5 simple rules, you can improve your diet and accelerate your results that you work so hard for in the gym, on the bike, or on the trail. And don’t forget to enjoy a treat now and then too. These rules are meant to help you learn good nutritional habits so you can learn to eat intuitively down the road. So follow them as often as you can the very best you can and don’t be afraid to #treatyoself now and then!